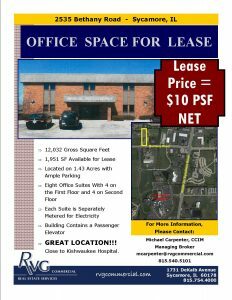 Sycamore Medical Arts Center: 1,951 square feet available in a 12,032 Gross SF building available on 1.43 acres. 2-story building with Eight Office Suites. Separately metered electric, elevator, ample parking. 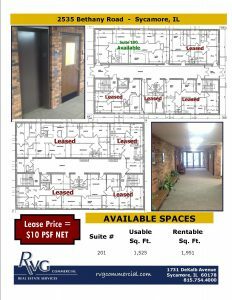 Close to Kishwaukee Hospital!